state swimming advisories to see if there are any blue-green algae warnings. You might be surprised and dismayed to learn, however, that pet carrier safety isn’t regulated by any organization or government agency. Crash tests involving many different types of restraint devices end with anchor straps failing, connection hardware deforming, crate doors breaking open, crate bodies becoming crushed, and canine and feline crash test dummies (not live animals) going airborne. 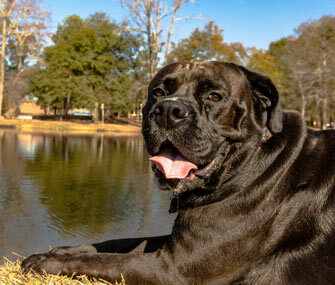 Although dogs are most commonly affected, blue-green algae can be toxic – and even fatal – to cats, horses, livestock, birds and other wildlife that drink from contaminated ponds or groom themselves after being in the water. For people who water ski or swim in water containing toxic blue-green algae, or who inadvertently swallow the organisms, exposure can also lead to illness and death. Because dogs tend to love all things putrid and stinky, they’re more likely than people to dive into the turbid waters. They can inadvertently swallow blue-green algae, especially when fetching balls, decoys and, in the case of hunting dogs, wild game. And it doesn’t take much to cause a problem – just a few mouthfuls can be harmful. After all, it’s not easy to determine if algae are poisonous by their visible appearance. “Not even a trained veterinary toxicologist or expert can tell if algae are poisonous by just looking at them – special tests and microscopic evaluation have to be done,” according to Dr. Lee. “As a result, the safest thing to do is to keep your dog away from any pond with algae on the surface.” That advice goes for you, too.